Charles O. “C. 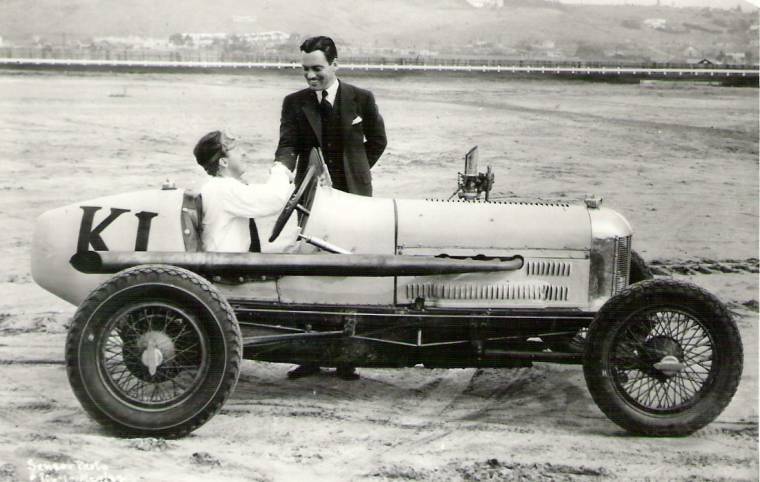 O.” Bennett with Pat Cunningham in the supercharged Fronty B & B Special. Leonard Kerbs began his racing career at the age of 19 riding an Indian motorcycle in 1914 but moved into a flat-head Motel-T Ford bobtail of his own design in 1915. 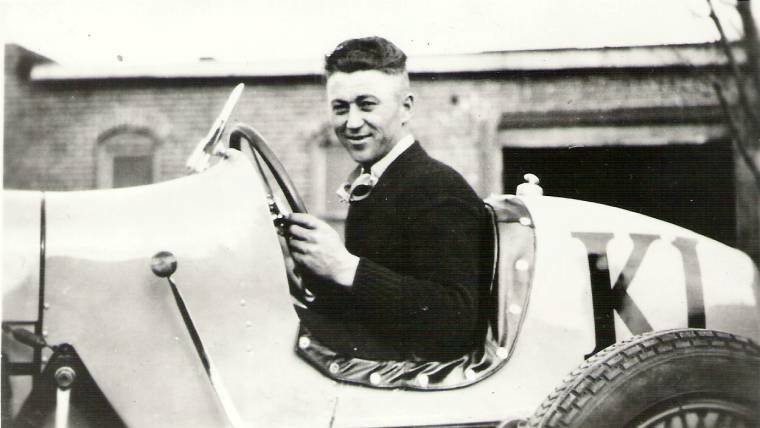 By 1917, he and cousin Benny Kerbs had built a faster rocker-arm engine for the car. 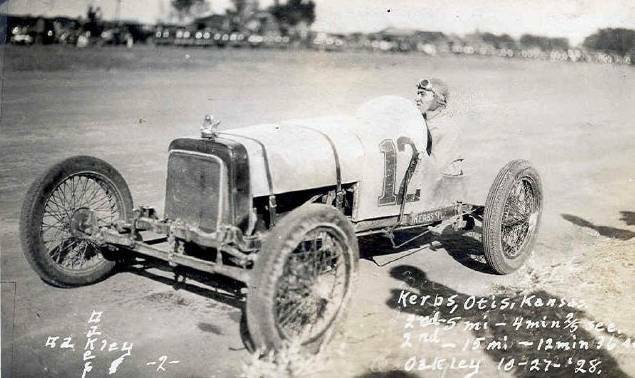 Kerbs promptly destroyed that car when he crashed it through a fence at Great Bend, Kansas. 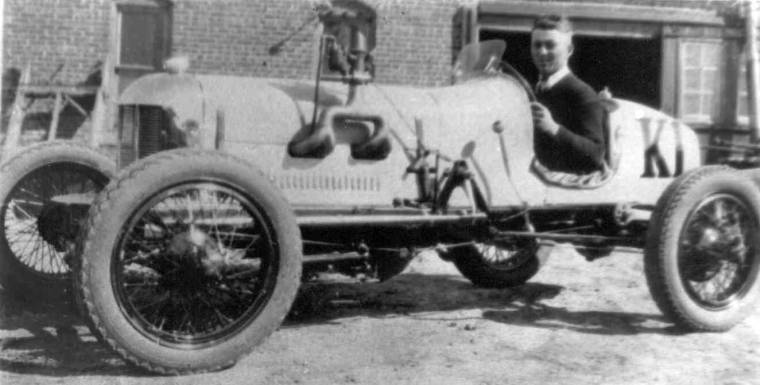 After World War I, Leonard, Benny, and machinist John Schoeber built two new cars using 16-valve rocker-arm heads cast by Craig-Hunt of Topeka, Kansas that may have been designed by Johnny Mais. Those heads did not prove to be strong enough so they were replaced by Rajo heads. 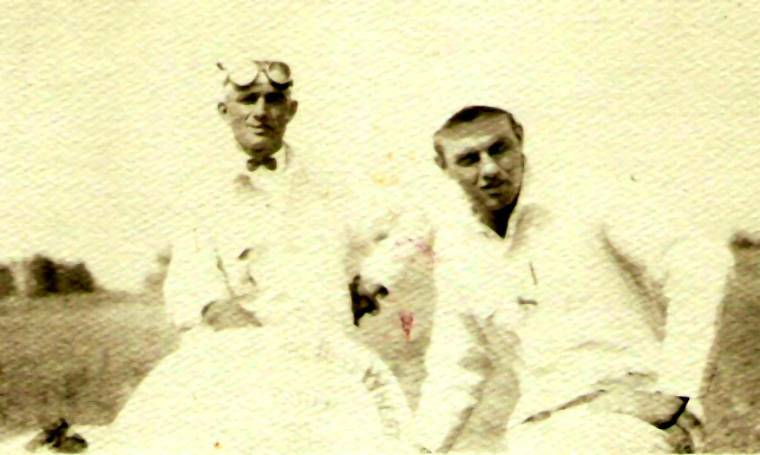 Another cousin, Butch Lebsack joined the team to drive the second car which was also a bobtail. 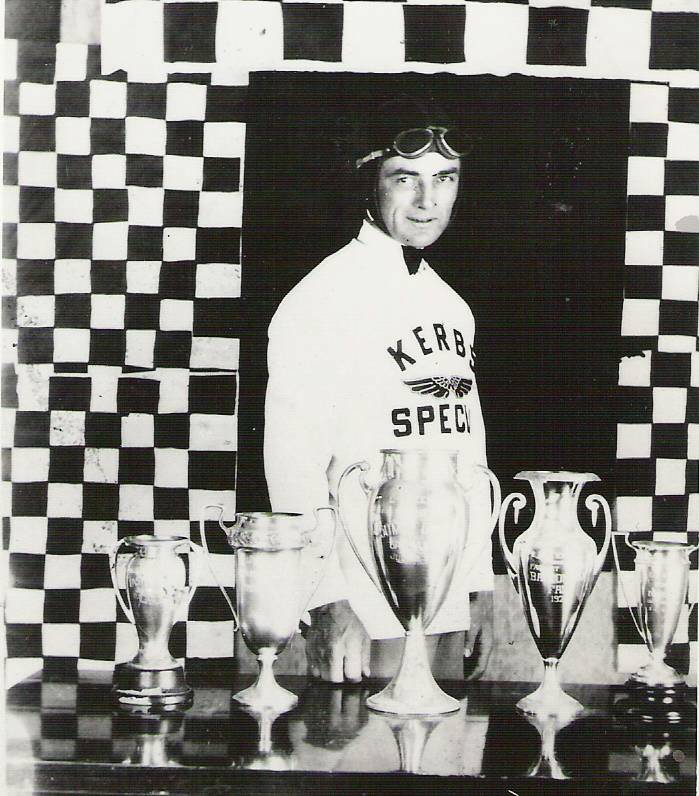 In 1923, Kerbs reportedly won every race he entered on dirt tracks ranging from half-mile up to two-miles in length and in races ranging from 10 miles up to 100 miles long. 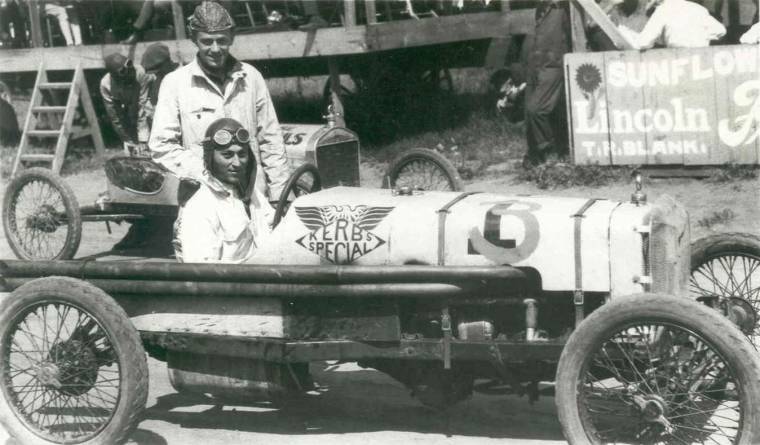 In the late 1920s, both Kerbs and Lebsack started winding down their driving careers and Sam Hoffman started driving for the Kerbs team. 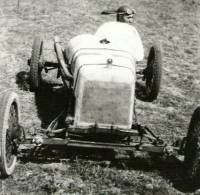 Jim Pickens also competed in at least one race in a Kerbs-owned car at Winfield, Kansas in the fall of 1928. About that same time, Kerbs is rumored to have built the #700 B & B Special for car owner Charles O. “C. O.” Bennett of St. Joseph, Missouri. 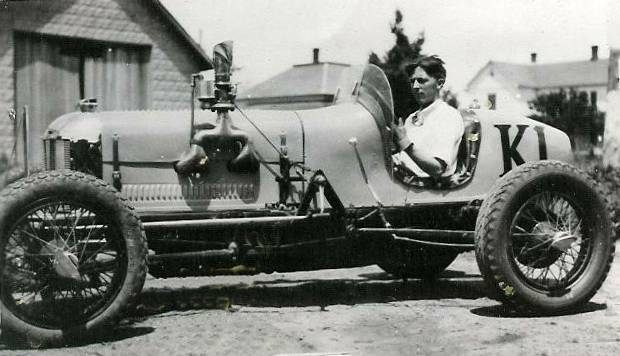 That supercharged Fronty powered creation was campaigned successfully in the Midwest by another St. Joseph native name Pat Cunningham. 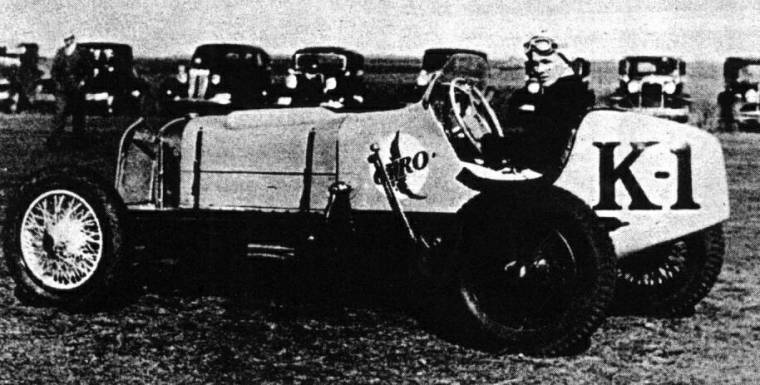 In 1930, Kerbs built a new Kerbs Special fitted with a 16-valve dual-overhead cam Fronty engine. 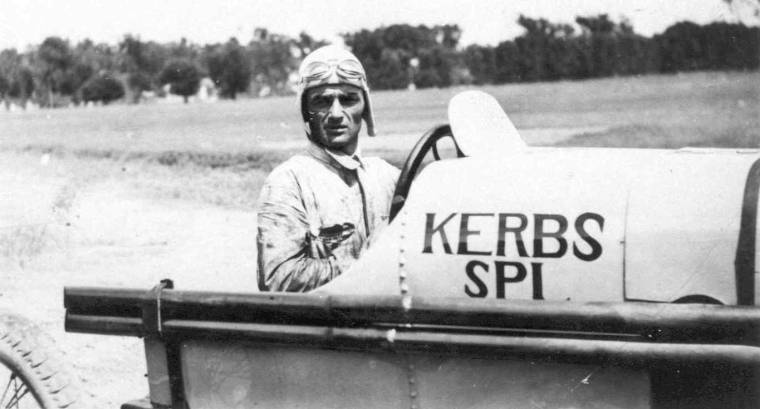 (Note that a number of Kerbs’ racing cars were known as the “Kerbs Special”.) The engine in this car had a Wills St. Claire crankshaft with tubular rods and sported a pair of Winfield carburetors. The frame was “T” rails with truss rods and the car was painted yellow with blank lettering. 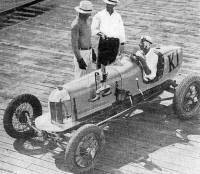 A year later, Kerbs is said to have purchased a special Fronty head for this car from the Chevrolet brothers for $600. It had been run on Dutch Baumann’s car and differed from most D.O. Frontys as it had cups over the valves. There was also a #69 Kerbs Special that raced with in Pacific Coast AAA events in California that year but it is unclear who drove that car. 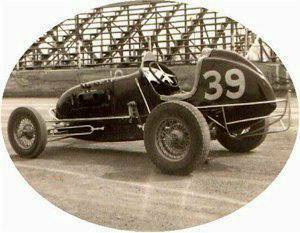 Earl Hovenden raced a Kerbs Special at Ord, Nebraska before taking it to California for some races there which he drove it in as the #50. That car was a S-R Fronty Ford. A letter from Earl Mansell states that he drove the Kerbs Special Fronty “with the cups over the valves” in some California races. 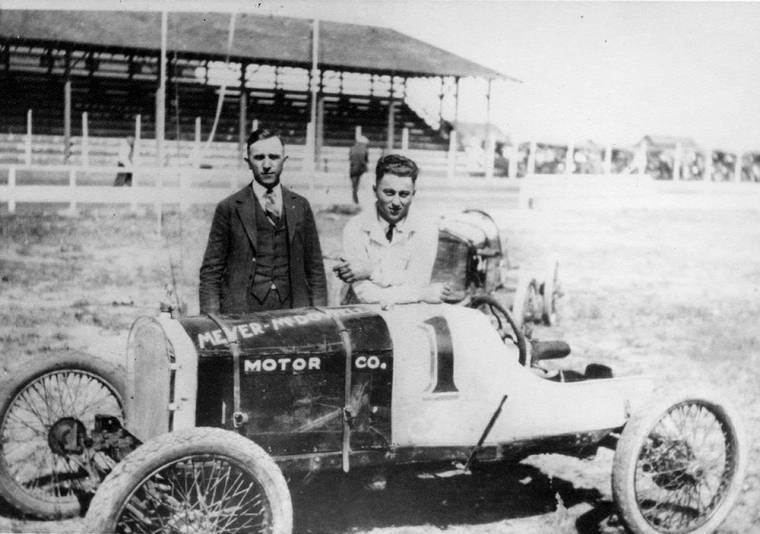 After the birth of a son in 1930, Kerbs retired from driving and Sam Hoffman of Sioux City, Iowa assumed the driving duties in the Kerbs Special in the Midwest. 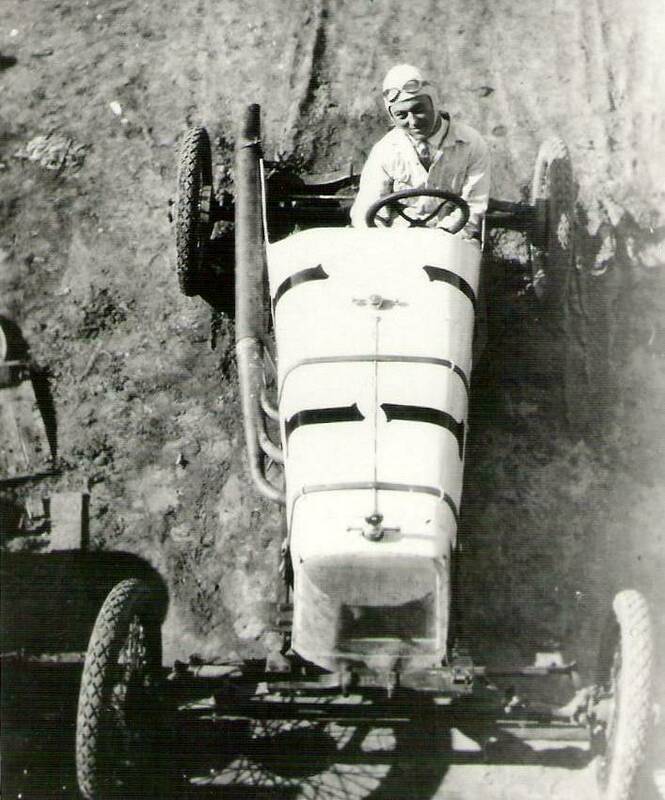 Hoffman heavily damaged the car in a crash at Ord, Nebraska on August 26th of that year but stayed on to have a very successful year with Kerbs in 1931. 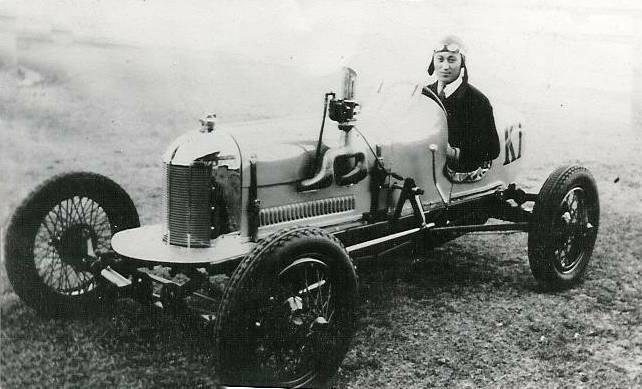 Pat Cunningham became the driver of another Kerbs Special in 1931. 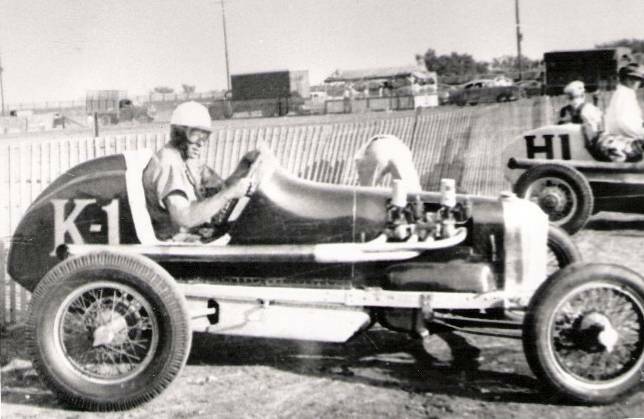 He traveled more than Hoffman did racing occasionally with IMCA and as far away as Phoenix, Arizona and Neal’s Speedway in San Diego, California. 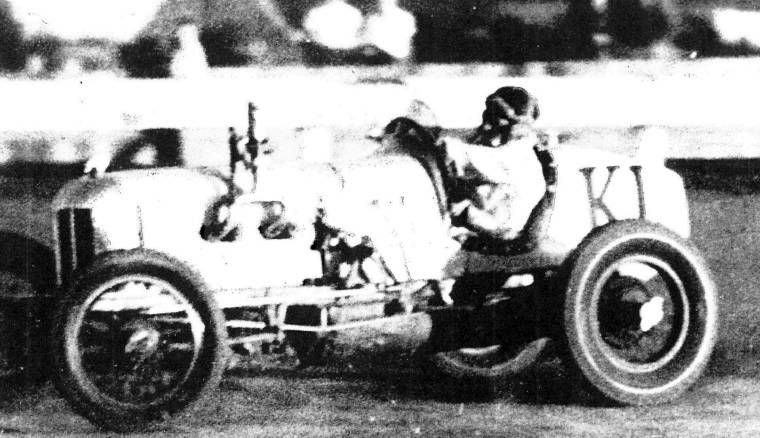 Herb Balmer drove a #K-1 Kerbs Special at least once at San Diego's Silverlake Speedway. Herb’s brother, Everett Balmer also drove that #K-1 at San Diego. 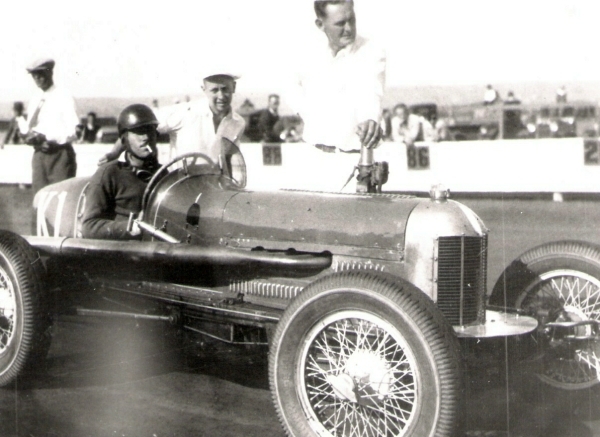 Besides the #K-1 Kerbs Special in California and the two #K-1 cars that Cunningham and Hoffman drove in the Midwest in 1931, Kerbs also sold still another #K-1 Kerbs Special to Earl Hovenden who then entered it at least in races at Lamar, Colorado and Oakley, Kansas competing against Cunningham at those venues. 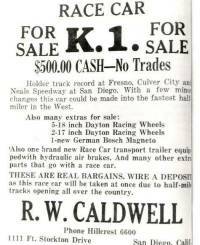 Kerbs sold the Fronty that the Balmer brothers raced in California to R. W. Caldwell of San Diego in 1932. 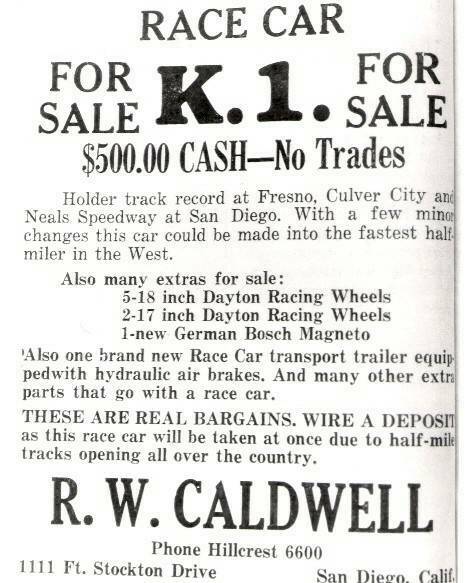 Caldwell later offered the car for sale but it is unknown if he was able to sell it or not. It is believed that car remained in California for the rest of its days. 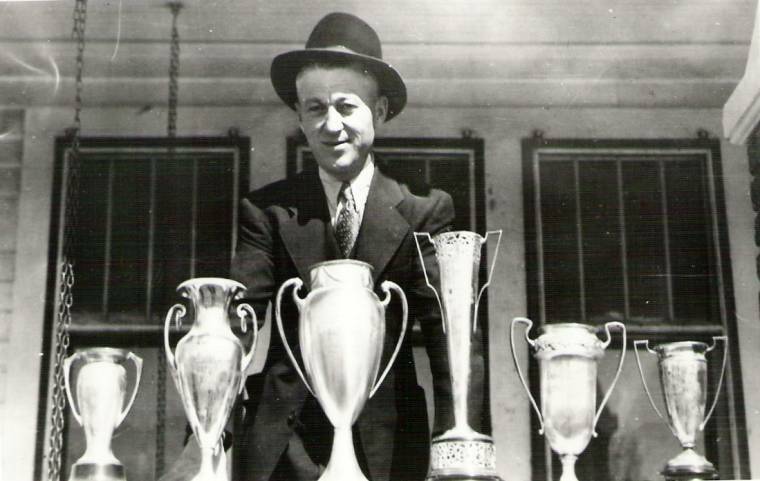 Kerbs gave race promotion a try when he was named race director of the Kansas State Fair in Hutchinson in September of 1932. He entered two cars himself, one being the #K-1 car for driver Pat Cunningham and another for driver Bill Carroll of Lewis, Kansas. Good friend John Gerber entered his two-car team and Charles O. “C. 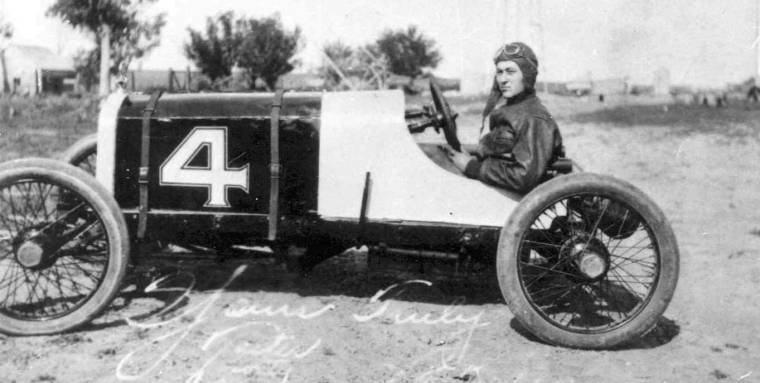 O.” Bennett entered the supercharged B & B Fronty for driver Tex West. 8,000 people saw 16 cars compete and the program would have been a success if it had not been for a serious accident leaving three people injured including Carroll in Kerbs’ car which was destroyed. 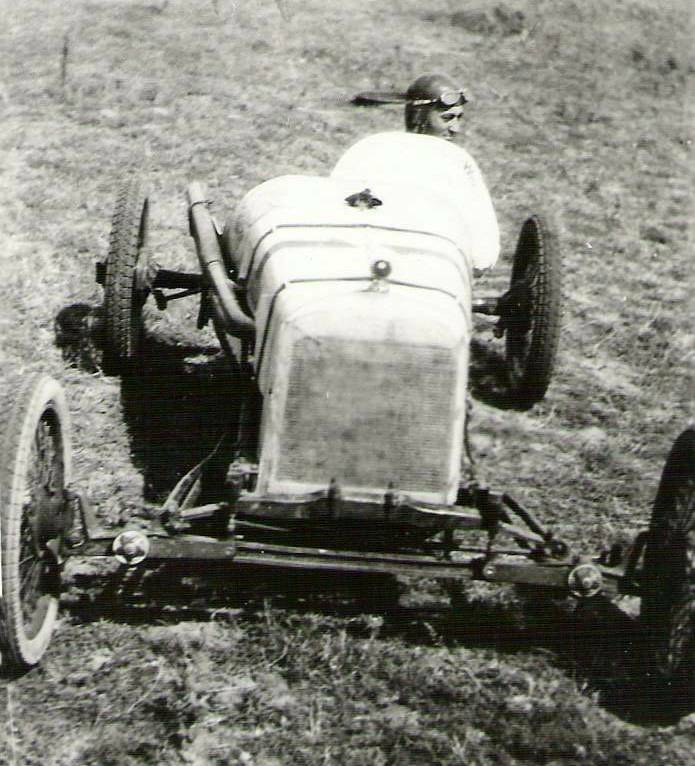 In 1933, Kerbs built another Kerbs Special, this one powered by a Riley engine, but he never got it to run as well as he felt it should have. 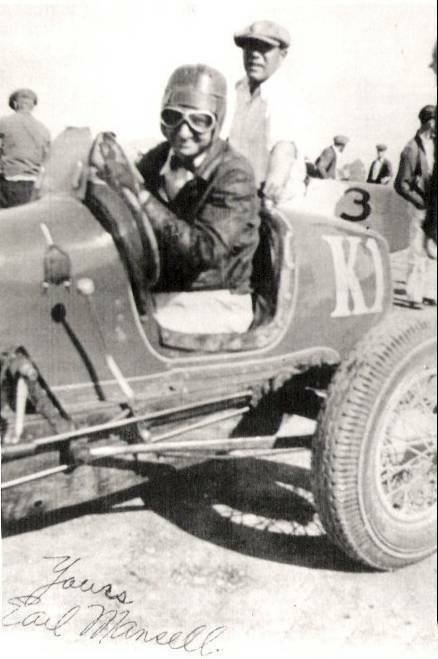 Pat Cunningham continued to drive a #K-1 Kerbs Special until 1934 when Kerbs sold the Riley powered car to Jack Keys of Dallas, Texas and retired as a car owner. 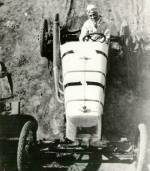 Cunningham moved to Texas and appears to have finished out 1934 driving the Riley for Jack Keys. 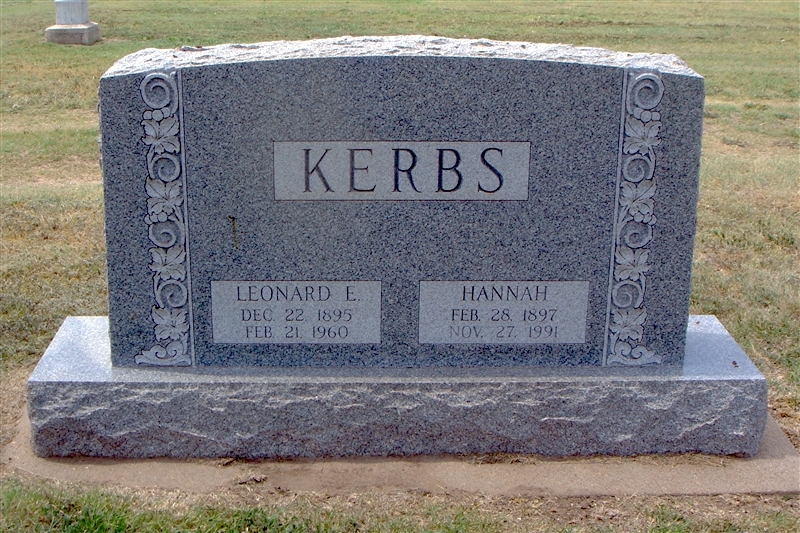 Kerbs spent the next 25 years as a flagman and racing official at several Midwestern racetracks including Belleville, Kansas and Ord, Nebraska. 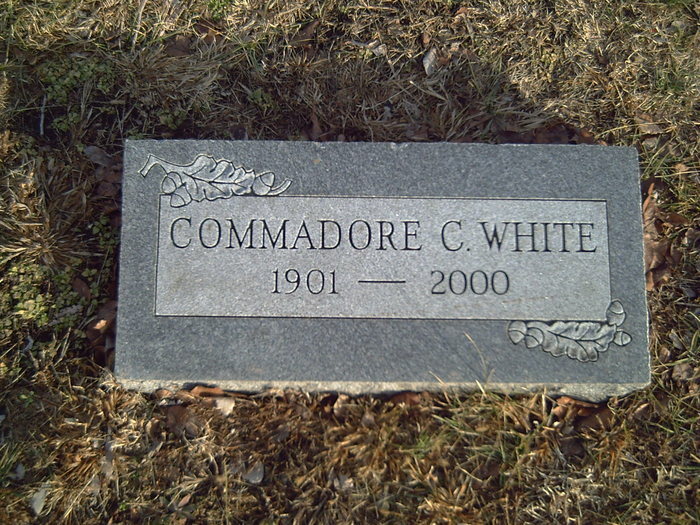 He died of a sudden heart attack at his home in Otis, Kansas in 1960 and is buried in the Otis Methodist Cemetery in Otis. 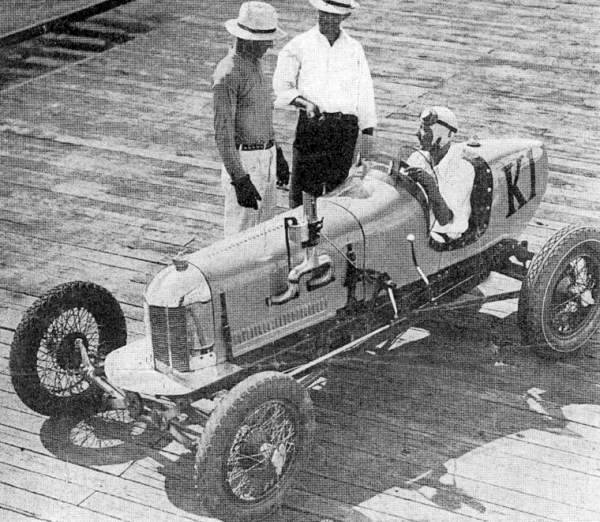 P. D. Plant drove the #K-1 car for Jack Keys early in 1935 and Howard “Howdy” Cox also drove for Keys before Keys sold the former Kerbs Special to Bob Kemp of Oklahoma City. 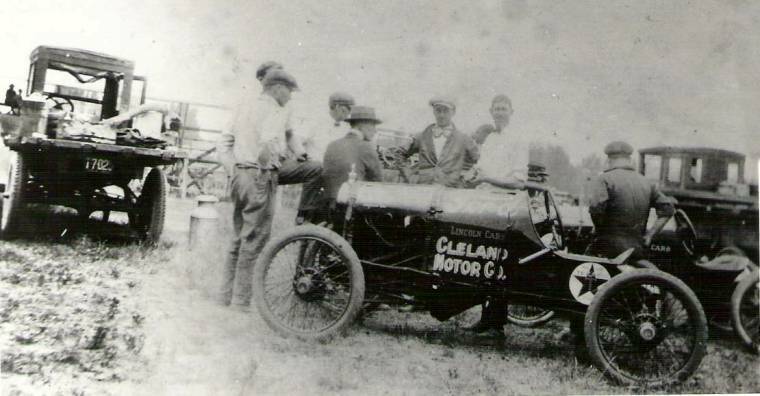 While Kemp owned the car, he rebuilt the body although some say he actually got Carl Oliver to do the work. 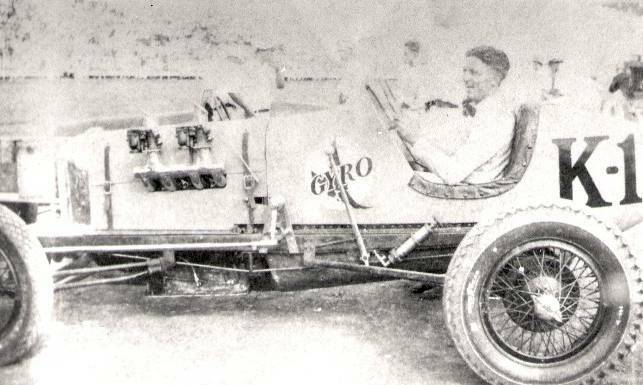 Kemp also installed a new Miller Schofield engine built by Melvin “Slim” Rutherford of Whiting, Indiana. 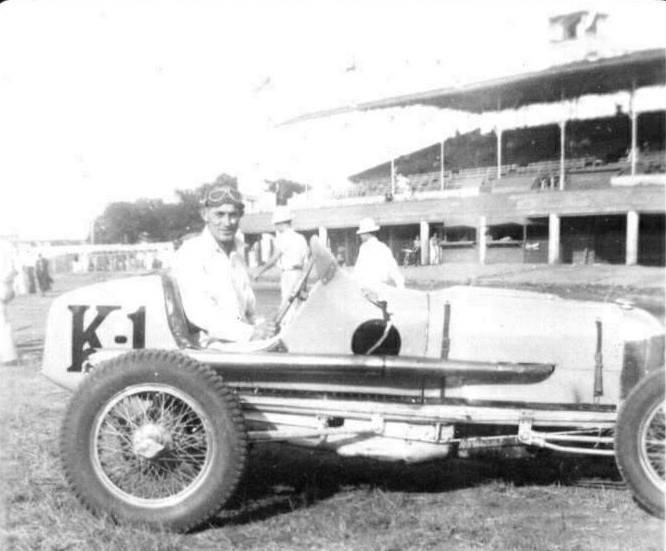 Texan Ted Parker drove this #K-1 Kerbs Special for Bob Kemp in the late 1930s. On Memorial Day of 1948, Bob Kemp turned up with the car at an IMCA race at the Kansas State Fairgrounds in Hutchinson, Kansas with driver Thurman Bacon from Oklahoma City. The car had a rocker-arm McDowell engine in it that would barely run. 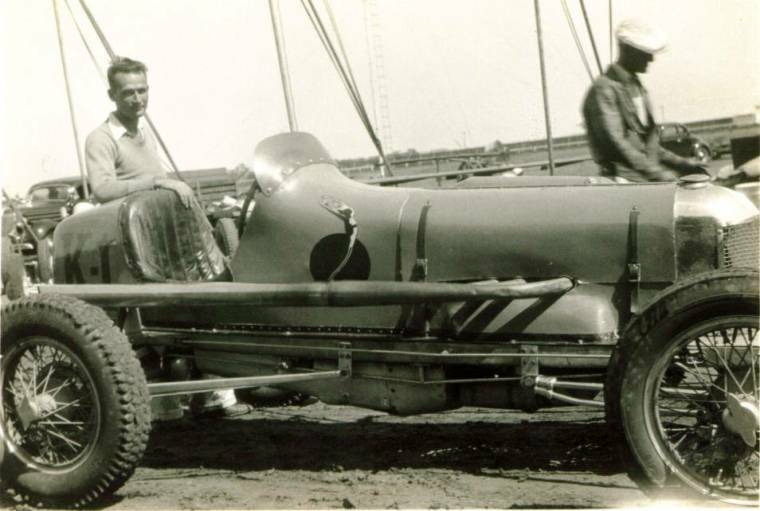 Kemp also entered the car in the races at the Belleville, Kansas Fair in September of 1948 with Claude Gorin as driver but Gorin could not get the car up to speed and his best finish was third place in a consolation race. 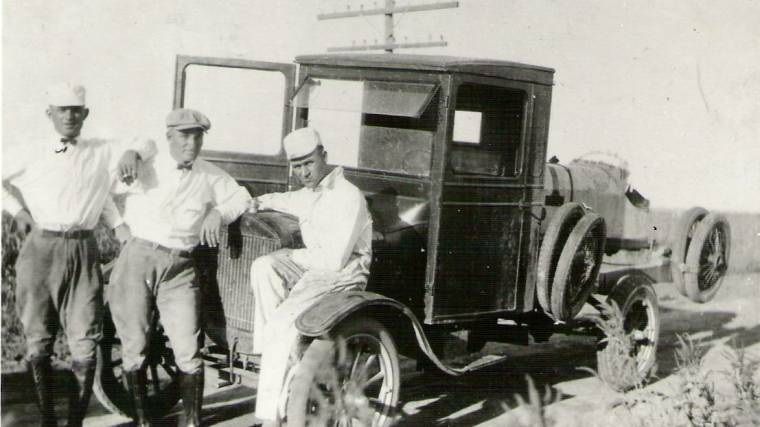 Commadore White of Emporia, Kansas purchased the car from Kemp but White only kept it for a few weeks before selling it to Emmett Taylor of Augusta, Kansas. Taylor sold the engine to some boys building a dragster. 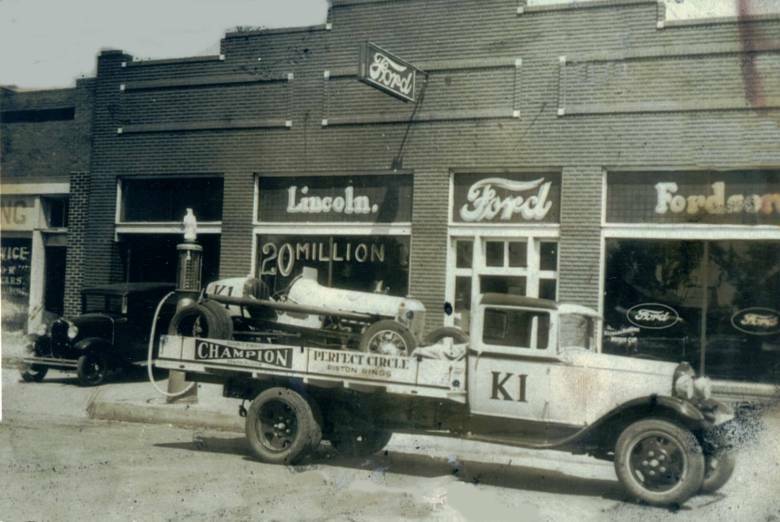 He then sold the chassis to Marvin Church of Whitewater, Kansas who installed a 248-cubic-inch Chevrolet truck engine with a Wayne conversion. Church raced it with IMCA for a while with Jerry Shumaker as driver but the engine was too heavy and broke the chassis. Church hauled it to a salvage yard in Wichita, Kansas where it was picked up by Bob Billups. 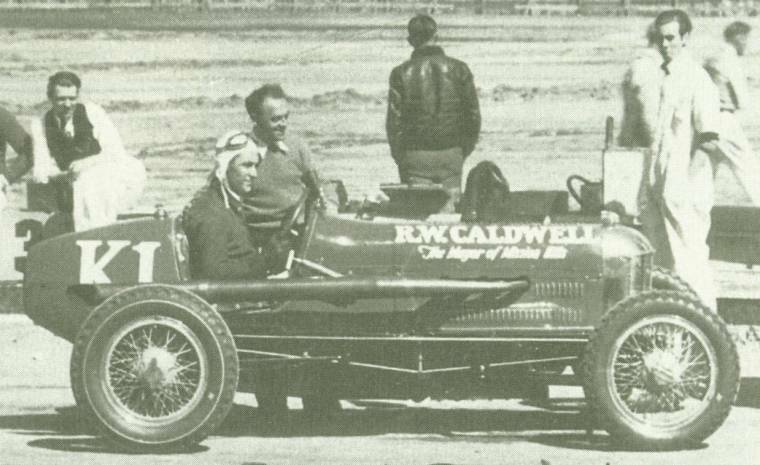 Billups added roll bars and a cut-down body making it into a modified jalopy and raced it that way with drivers Wylan Cattrell and Lee Phillips until 1968. By then, it had been wrecked so many times that the welds weighted more than the car so this former Kerbs Special was finally junked for good. 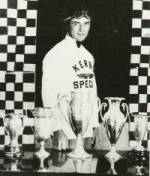 Leonard Kerbs was inducted into the High Banks Hall of Fame at Belleville, Kansas in 2001 and into the National Sprint Car Hall of Fame at Knoxville, Iowa in 2011. Letter from the late Emmett Carpenter. 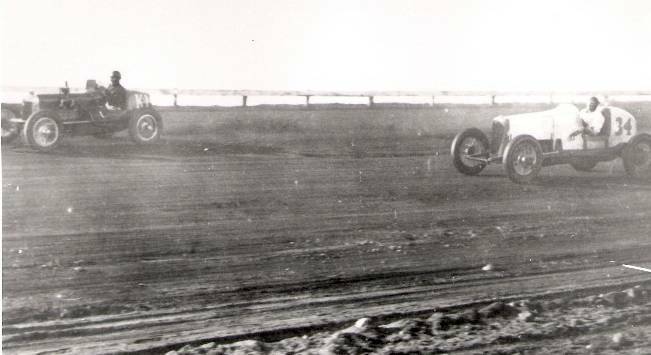 in the 60-lap feature at Slivergate Speedway in San Diego, California on June 3, 1934. 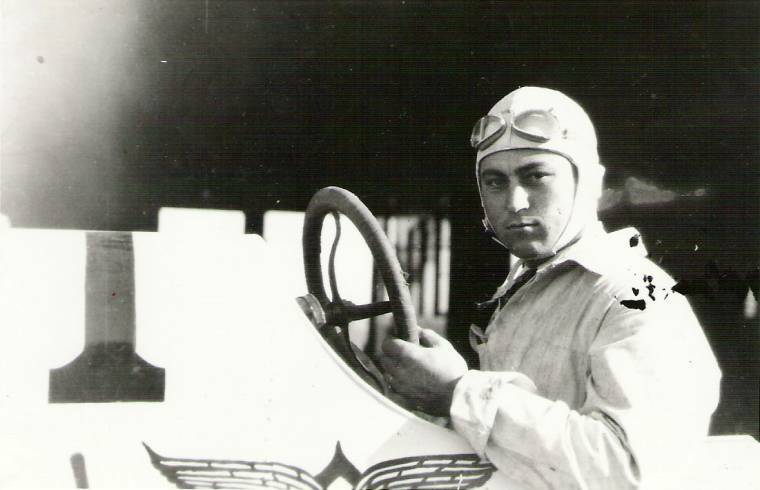 Frank Wearne won this race with Balmer finishing in second place. Bertrand finished in third place. Herbert B. “Herb” Balmer, Jr.